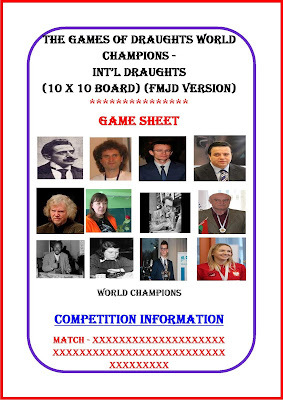 This post is USED FOR INFORMATION PURPOSE ONLY and is dedicated to the exciting games of DRAUGHTS WORLD CHAMPIONS OF INTERNATIONAL DRAUGHTS (10 x 10 BOARD),WHICH IS BASED ON WORLD DRAUGHTS FEDERATION (FMJD) RULES (i.e. 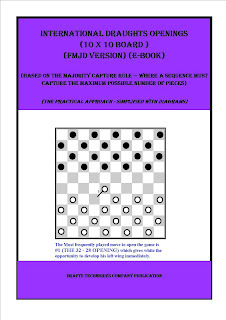 Based on the majority capture rules). The games are inclusive of games from International Masters (MI) and International Grand Masters (GMI) (BOTH MALE AND FEMALE CHAMPIONS) to serve as a guide and inspiration to players. 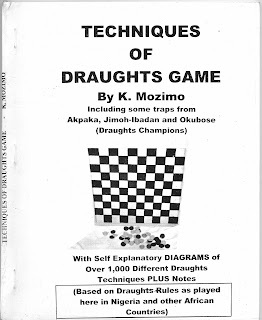 This book otherwise known as Draughts Techniques contains Self Explanatory Diagrams of over 1,000 (One Thousand) Different Draughts Traps. It starts with the common "Backyard" and "Long Range Traps" to the more advanced traps. 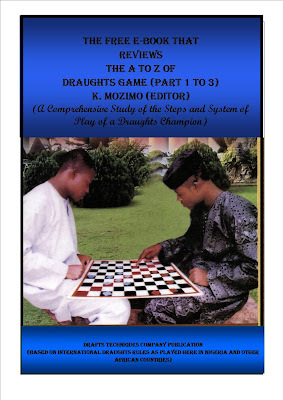 It also contains frequently occurring formations to help players in planning to win every game. 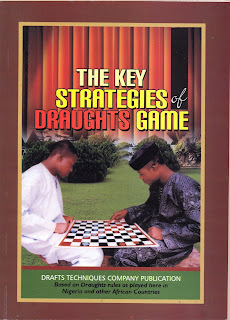 NOTE: This Book was published in 1999 so there are only few copies left.